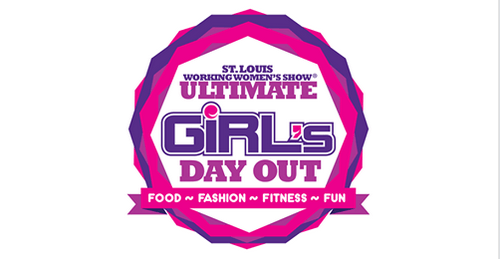 The St. Louis Working Women’s Show, Ultimate Girl’s Day Out, is a weekend of food, fashion, fitness, and fun, with over 400 exhibits featuring products and services from all over the United States. Go shopping with family and friends, grab a bite to eat, and get pampered all in one place. There is even a 5K Run! Free parking is available at the St. Charles Convention Center. If these lots are full, additional free parking is available just yards away from the Katy Trail and historic St. Charles, Missouri, at the Ameristar Casino. The lower level surface construction parking of the Ameristar Casino property is under the overpass. From I-70 take exit 229 to S 5th St, and head north. You will see the Casino at this point. At the first light turn right onto Ameristar Blvd. Go over the hill one block to Main St. and turn Right. Do not cross the bridge with your vehicle. Right away you’ll see the construction entrance on your left. Park in that lot. Look carefully for Show signage along the nearby streets directing you to the Free parking. This is NOT the same as the Ameristar Casino Parking Garage. Free shuttle service is provided by the Show and available to and from the St. Charles Convention Center during shuttle hours published online and in the Show program. Beginning with the 2018 Show, St. Charles Convention Center Security will be checking all bags, purses, packages, and carts coming into the facility. Crowd-friendly strollers for infants are permitted. No food or beverage, or their containers may be brought into the Show. Please feel free to contact St. Louis Working Women’s Show personnel by email at info@wwssonline.com. It is best to contact Show personnel by email during Show Week (February 18, 2018 thru February 25, 2018) when the Show is being setup and opens to attendees, February 23-25, 2018. Prior to Show Week, personnel are available during ordinary business hours by telephone at 402-691-8889 or toll-free at 1-800-762-9973. The Show has a no refunds policy. Starting with the 2018 Show, all tickets sold online must be scanned by the usher/ticket takers at the Event entrances to the St. Charles Convention Center. The scanners are capable of scanning either your mobile phone QR code screen image or a printout of the online ticket with QR code shown on it. Each ticket has its own unique QR code. The attendee holding either the mobile phone QR code screen image or printout of the online ticket with QR code shown on it, will be entitled to admission to the Show for that day, depending on the type of ticket purchased. A Friday Only Ticket will only admit one attendee on Friday. A Just Mom & Me Ticket will only admit one attendee on Sunday. A Two-Day Pass Ticket holder will have admission for any two of the three days of the Show. All other ticket holders will have admission to only one of the three days of the Show.